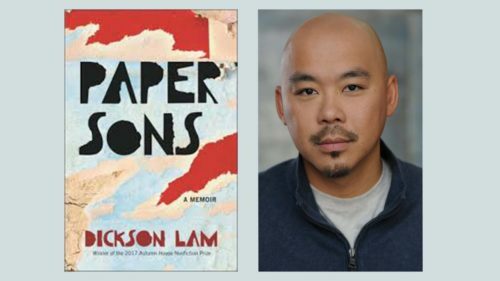 Join Eastwind for a book discussion with Dickson Lam, author of Paper Sons: A Memoir. Set in a public housing project in San Francisco, PAPER SONS: A MEMOIR explores Lam’s transformation from a teenage graffiti writer to a high school teacher working with troubled youth while navigating the secret violence in his immigrant family’s past. Dickson Lam’s work has appeared in StoryQuarterly The Kenyon Review Online, Hyphen Magazine, The Normal School, PANK, The Good Men Project, The Rumpus, and Kartika Review. He is a VONA alum and has been a resident fellow at the Millay Colony for the Arts and the Kimmel Harding Nelson Center for the Arts. He holds MFA degrees in creative writing from the University of Houston and Rutgers-Newark. Lam is an Assistant Professor of English at Contra Costa College.